Over the last 15 years, Jessica has been performing live painting across the GTA, Canada, and even worldwide. She has performed in over 350 shows, and has helped raise over $100,000 for charity in the past few years alone! 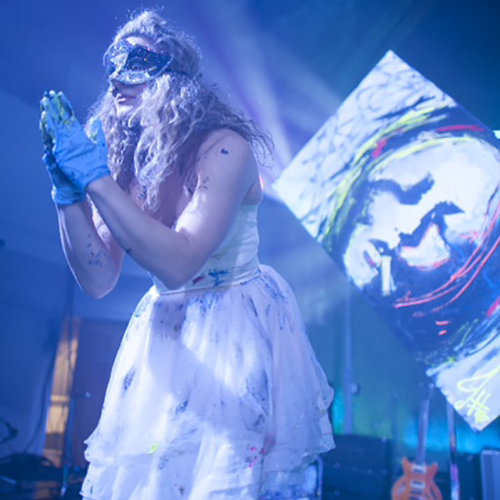 Some of Jess’s favourite performances include a cross-Canada Tour with the 2010 Canadian Winter Olympics Torch Relay Team and her 77 unique Cirque Du Soleil series where she painted for audiences attending Totem and Amaluna. In addition, she’s performed for brands such as KPMG, Holt Renfrew, Coca-Cola, Absolut Vodka, RBC, Fiat, Mini Cooper, Acura, Maserati, TOMS, McCafé, FIFA, and Microsoft. Whether it’s for an intimate crowd to large audiences of 20,000 or more, Jessica will wow your guess and make your event one to remember! 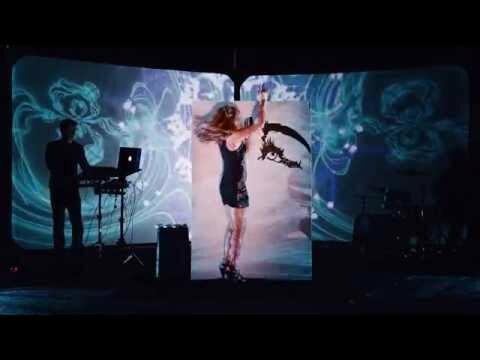 Jessica brings a unique combination of both a live performance and extravagant art to leave your audience captivated and inspired. Watch a blank canvas come to life in minutes with the astounding perfection of Jessica’s unique talent in transforming nothing into something spectacular. Get in touch through our contact form, and start learning about how Jessica can make your next event truly one for the books! Check out some of Jess's past performances. Some fun at the new studio featuring some double canvas speed painting. The studio is now open for private event booking! Outlined below are the types of performances Jessica can bring to your event. Jessica will perform a second live painting at an event for an additional amount, depending on the size of canvas being used and the length of the second performance. Note: Jessica keeps the artwork at the end of her performance unless an alternate arrangement has been discussed and agreed on. Should the client wish to keep the artwork, there is an additional flat fee. 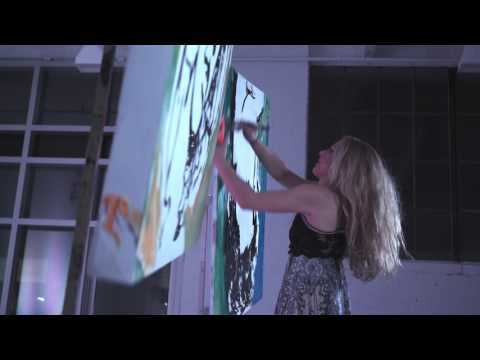 Jessica’s work renders thousands of dollars at auctions that go live following her painting performance at corporate and charity events across North America. In these live auction cases Jessica will donate 50% of the highest bid to the charity involved. Lightbox performances are generally between 35 – 45 mins max & work best in dim areas where house lighting isn’t bright. The lightbox is covered with a piece of plexiglass that becomes an attractive art piece following the performance. Note: If the client wishes to keep the completed piece the cost is an additional flat fee. Advance notice must be given in order to cut the extra plexiglass for the performance. Travelling across North America and Europe, Jessica performs this unique and extra spectacular spectacle that hasn’t been seen before. Not only is she speed painting one but TWO Canvases at the same time customizing it to your brand and special event. Regardless of the venue or occasion this performance is one which will blow your mind! Please contact jc@theideahunter.ca (The Idea Hunter) for corporate inquiries in the USA/Canada/Europe.